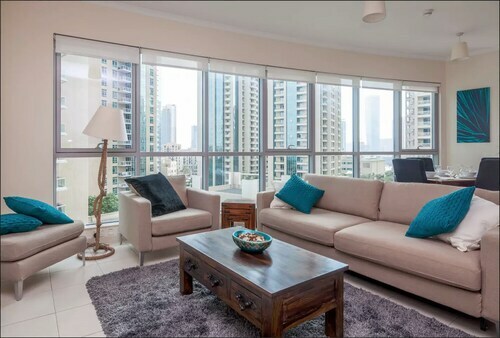 Located in Downtown Dubai, this apartment building is within a 15-minute walk of Dubai Opera and Dubai Fountain. Burj Khalifa and Dubai Mall are also within 1 mile (2 km). 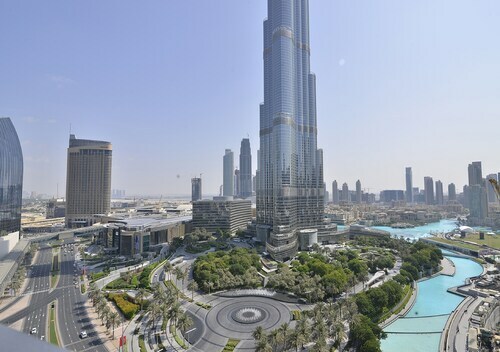 Burj Khalifa - Dubai Mall Station is 23 minutes by foot and Business Bay Station is 25 minutes. Located in Downtown Dubai, this apartment building is within 6 miles (10 km) of Dubai Water Canal, Dubai Fountain and Dubai Mall. 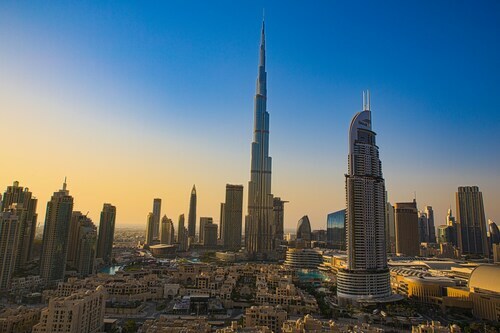 Burj Khalifa and Dubai World Trade Centre are also within 6 miles (10 km). 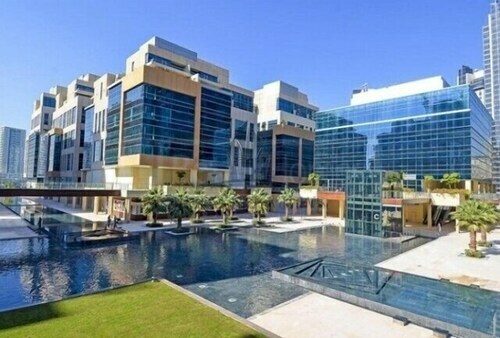 Situated in Dubai, this apartment building is within 6 miles (10 km) of Dubai Water Canal, Dubai Mall and Dubai Fountain. Meydan Racecourse and Dragon Mart are also within 6 miles (10 km). 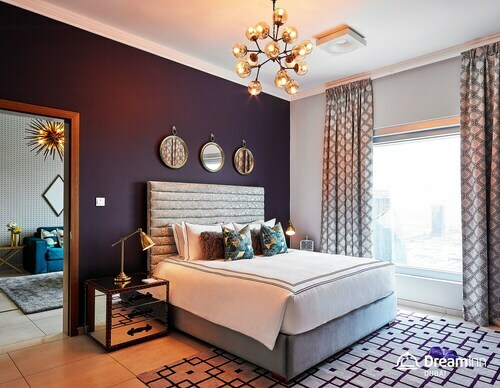 Located in the heart of Dubai, this apartment building is 0.1 mi (0.1 km) from Dubai Water Canal and within 3 miles (5 km) of Dubai Fountain and Dubai Mall. Burj Khalifa and KidZania are also within 3 miles (5 km). Located in Downtown Dubai, this apartment building is within a 15-minute walk of Dubai Opera and Burj Khalifa. Dubai Mall and KidZania are also within 1 mile (2 km). Burj Khalifa - Dubai Mall Station is only a 2-minute walk and Business Bay Station is 18 minutes. Located in Downtown Dubai, this apartment building is within a 10-minute walk of Burj Khalifa and Dubai Opera. Dubai Mall and KidZania are also within 1 mile (2 km). Burj Khalifa - Dubai Mall Station is 11 minutes by foot and Business Bay Station is 24 minutes. 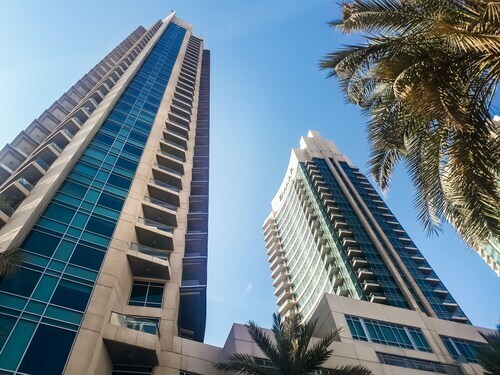 Located in Downtown Dubai, this apartment building is within a 15-minute walk of Dubai Opera and Dubai Fountain. Burj Khalifa and Dubai Mall are also within 1 mile (2 km). Burj Khalifa - Dubai Mall Station is 23 minutes by foot and Business Bay Station is 26 minutes. 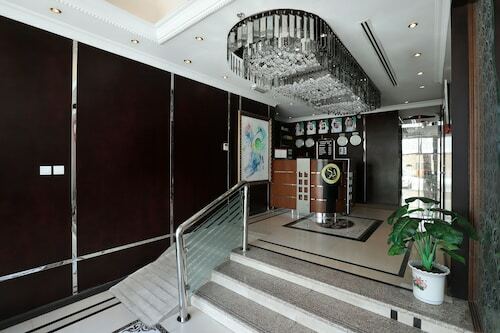 Located in Downtown Dubai, this apartment building is within a 10-minute walk of Dubai Opera and Burj Khalifa. Dubai Mall and Dubai Fountain are also within 1 mile (2 km). Burj Khalifa - Dubai Mall Station is 14 minutes by foot and Business Bay Station is 18 minutes. 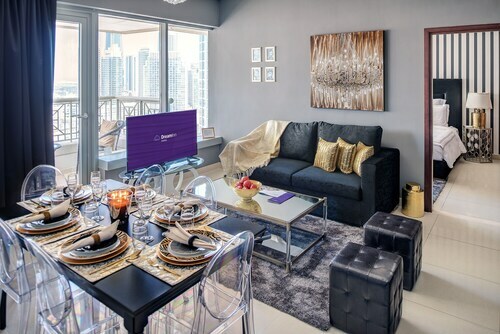 Located in Downtown Dubai, this apartment building is within a 15-minute walk of Dubai Fountain, Dubai Mall and KidZania. Burj Khalifa and Dubai Aquarium & Underwater Zoo are also within 1 mile (2 km). Located in Downtown Dubai, this apartment building is within a 15-minute walk of Burj Khalifa and Dubai Opera. Dubai Mall and Dubai Fountain are also within 2 miles (3 km). Burj Khalifa - Dubai Mall Station is only a 4-minute walk and Business Bay Station is 18 minutes. When visiting Ajman on your next holiday, why not take the alternative option of staying in an apartment? You could save money by staying in your own place rather than in a hotel, with the added major benefit of having the flexibility and freedom enjoyed by locals. For one thing, you could prepare all your meals in your very own kitchen using locally sourced ingredients from the nearby food market, and you won't need to splash out for drinks in a restaurant when you can try lots of different local wines from the comfort of your own apartment. 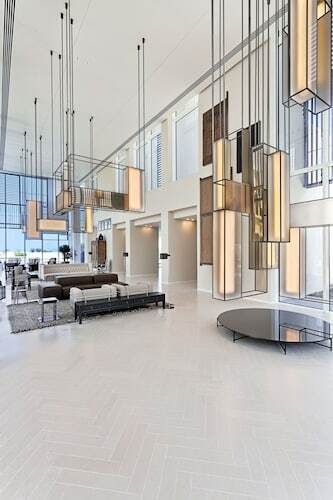 If you're off for a romantic getaway in Ajman, choose one of our contemporary pads with stylish decor and lighting. 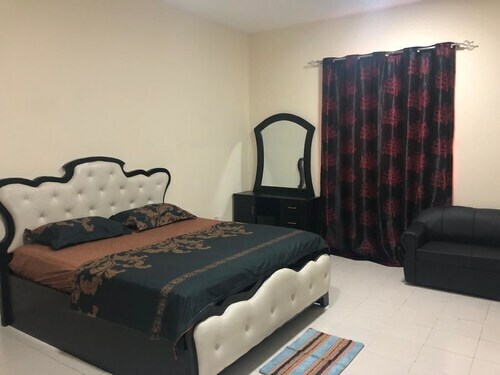 Or, perhaps you're bringing the kids and you need a spacious and practical apartment close to all the attractions of Ajman, so you can pop back during the day and enjoy lunch or a snack while the children have a siesta. If you're a group of friends on a weekend away and need a simple and budget-friendly pad close to the nightlife, ebookers has ideal Apartments for you. 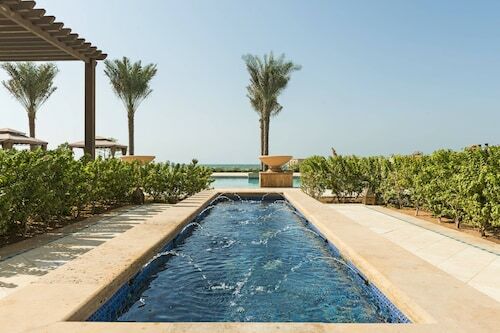 Whether you're staying for a long weekend or need a place to hang your hat for a couple of weeks while you thoroughly explore Ajman, you can make yourself at home in one of these Apartments. 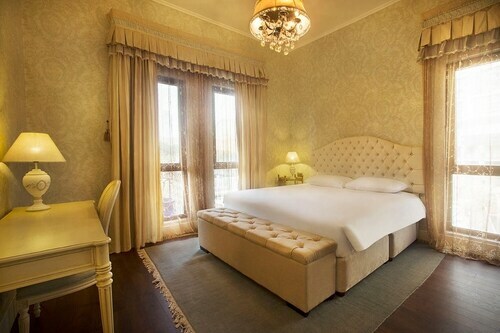 After a day of enjoying the sights and cultural attractions of Ajman, you'll probably need a lie in. 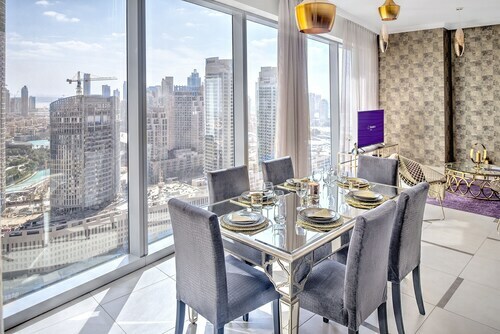 With your own apartment, you'll never worry about missing the hotel breakfast, so you can get up in your own time and make brunch in your fully furnished kitchen with all its amenities. 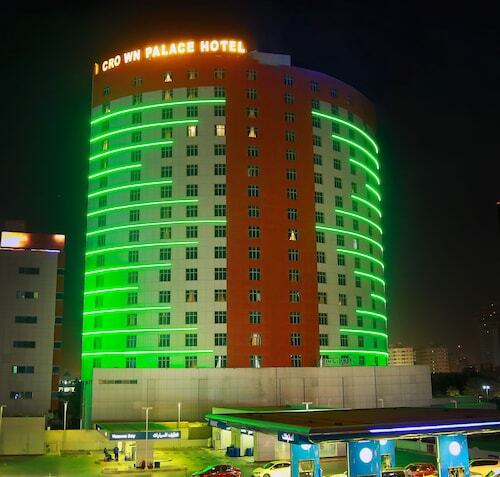 As well as having the extra freedom and space that comes with Apartments in Ajman, you'll also make savings, since nightly hotel rates in Ajman are likely to be higher than they are for Apartments here. This way, you'll have more budget to spend on activities during your stay, so that this getaway is one to remember. By checking our detailed map of Ajman, finding the right Apartments in this destination will be easy, whether you want to be within walking distance of all the major sights or further out in the quieter parts of town. Pick which area you want to stay in, and use our map and search tools to pinpoint Apartments most suited to your travel needs, whether they include shopping, dining or visiting museums and galleries. Use our search tool to enter your travel dates and check which Ajman Apartments are available for your holiday accommodation. Our accommodation options are regularly updated, so we're sure you'll be spoilt for choice!